Dullah was born in Surakarta (Solo) in central Java. He is most known for his landscapes and portraits. 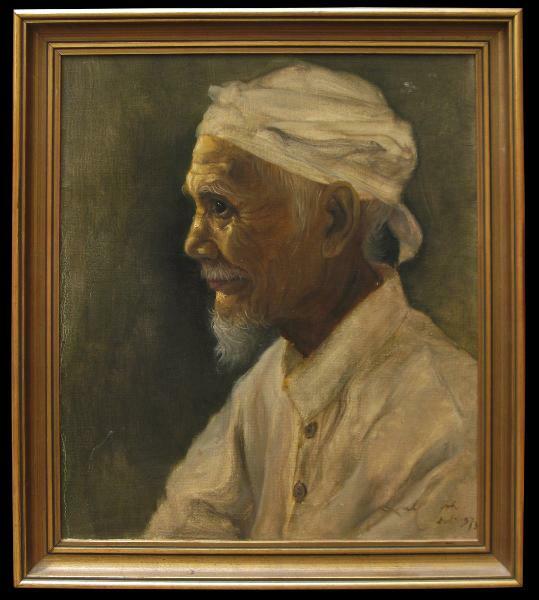 He was the Presidential Palace painter in the 1950s and received many commissions to paint influential people. He was the editor of the now-famous two volume catalogue of the then President Sukarno’s private art collection, published in 1956. 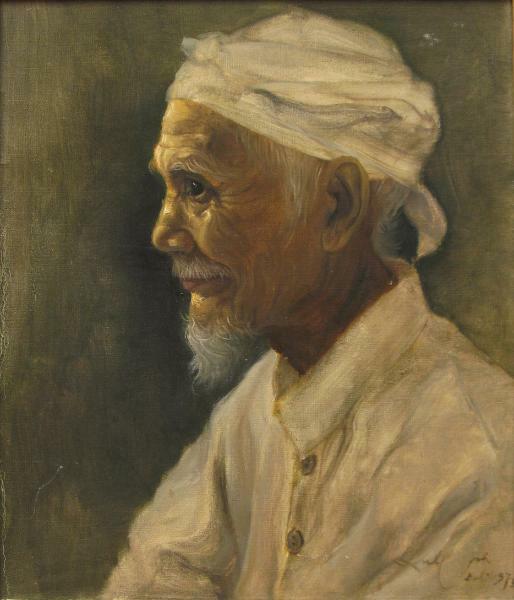 This picture shows a kindly-looking, elderly Balinese man attired in the white garb of a Hindi priest, and was painted during one of Dullah’s many stays on Bali.